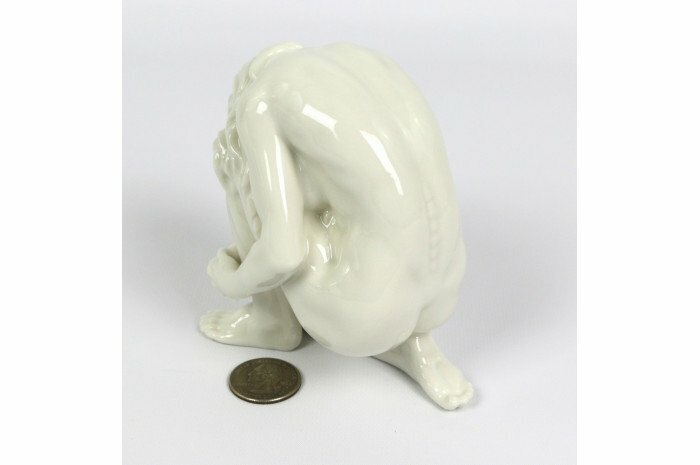 An expressive display of emotion is captured in this figurine. 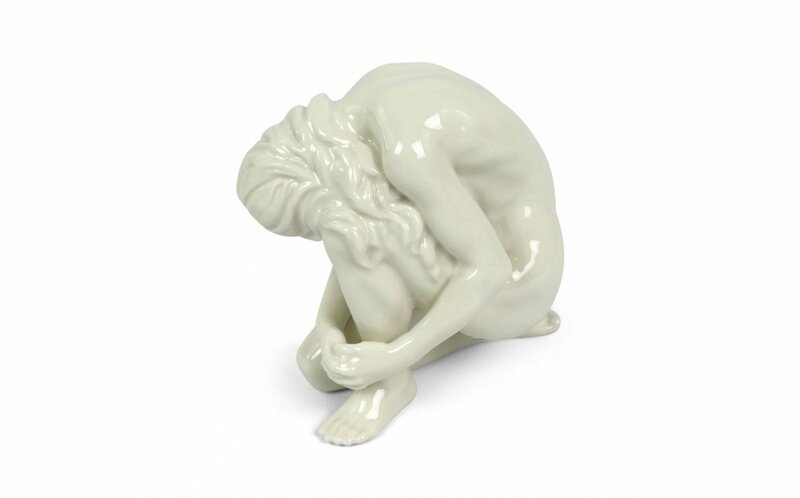 Her body language suggests grief with her head tucked in and bent position. 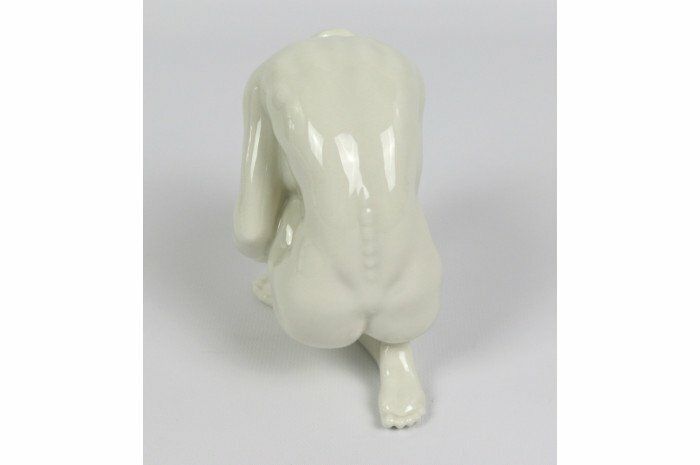 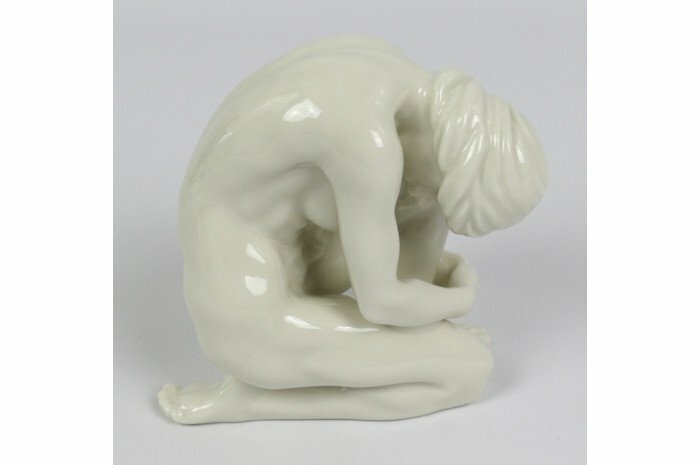 Made of porcelain, 4" x 2" x 4.5". Delicate figure but your clients will appreciate this one.